Jim Boyd is the Training Services Manager at the Wyoming Department of Transportation (WYDOT). He and his team at WYDOT mainly focus on designing and deploying competency based and leadership development, and he enjoys trying to stay current with the newest information and trends in that area. 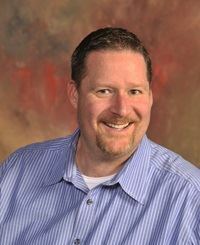 His career in education began with teaching Language Arts to 7th and 8th grade students, then evolved into Adult Education where he worked as a consultant at Align Organizational Development and earned his Master’s in Education degree in 2008. Jim has been a member of National ATD since 2007, and a member of ATD-NRC since 2017. He enjoys attending many of ATD-NRC events and learning from the collective experience of our members. You can contact Jim at membership@tdnrc.org.